With a few fleeting days left of ice cream month (aka July) we are devoting this post to Ciao Bella . Can&apos;? ?t decide between dessert and drinks? Ciao Bella&apos;? ?s got you covered! Next week when I descend on BlogHer I&apos;ll be whipping up sorbet cocktails. Adding sorbet to a drink recipe is a cool and inventive way to rethink the summer cocktail. And lucky readers, I&apos;m giving you a preview! 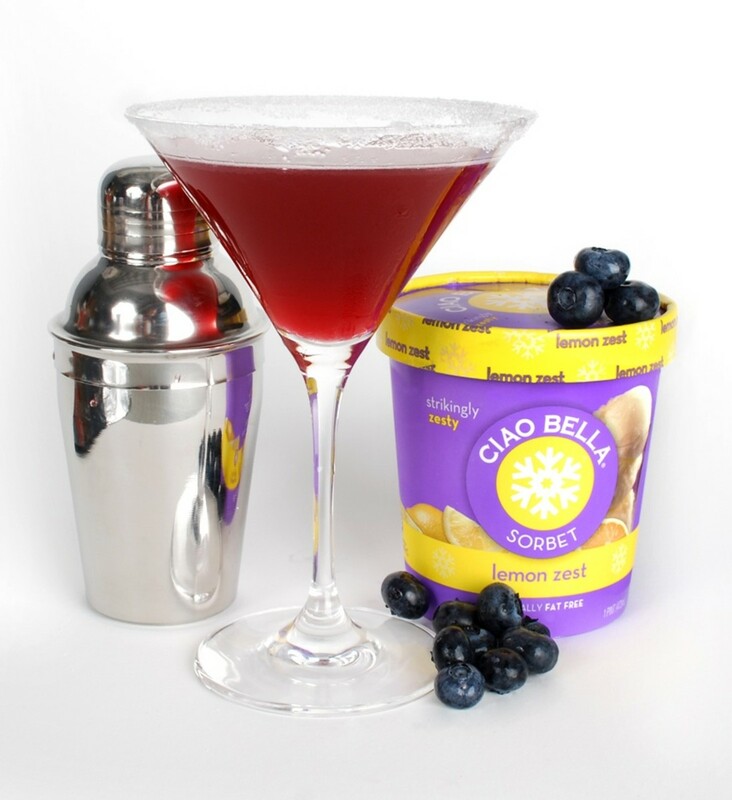 At our event Ciao Bella will serve cocktails made using the brand&apos;? ?s most deliciously unique flavors, including Prickly Pear Sorbet Bellinis, Ginger Peach Margaritas and Wild Blueberry Lemon Drop Martinis! Here are a few more tasty summer treats to try this summer. Directions: Shake well and serve in a frozen martini glass. Directions: Put all the above ingredients in a blender and pulse until smooth. Pour into a sugar-dipped margarita glass. Want to feel good about drinking your dessert? Here&apos;s the scoop: Sorbets are increasingly popular with frozen dessert lovers, and Ciao Bella&apos;s are the best around for health-conscious consumers. Seven of their sorbets &apos;?? including Blood Orange, Prickly Pear and Wild Blueberry - are considered a good or excellent source of Vitamin C, while averaging less than 100 calories per serving. 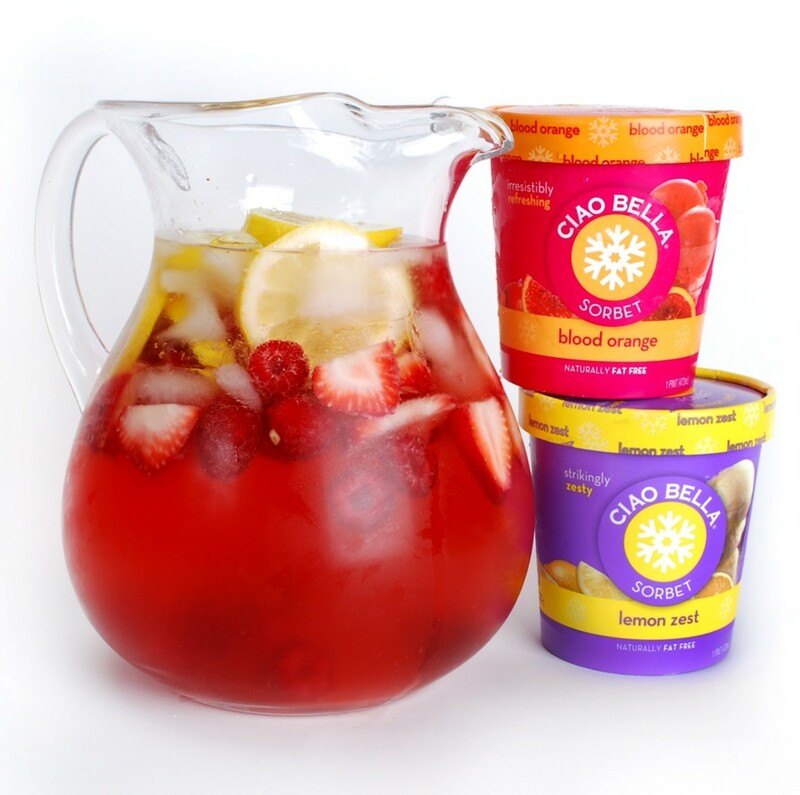 Ciao Bella products, including gelato and sorbet pints plus novelty items, are available at retailers nationwide. For more information visit www.ciaobellagelato.com be sure to "LIKE" them on facebook for more recipes and ideas. 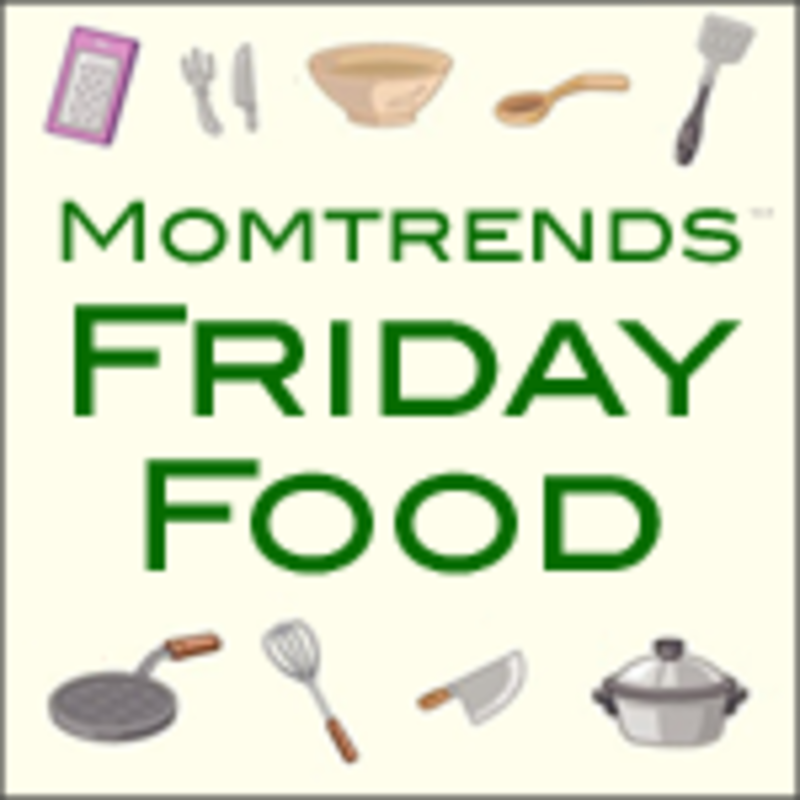 Momtrends is proud to be sponsored by Ciao Bella. In fact, we&apos;ve been buying this product for years...don&apos;t you love it when things work out like that!